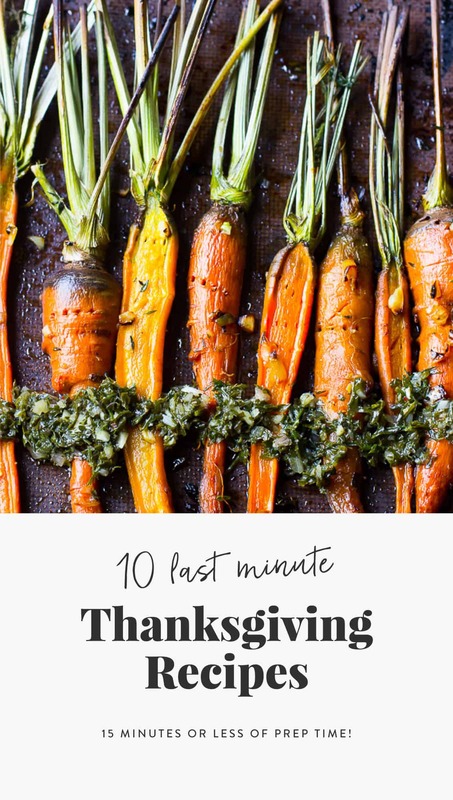 Here are my top choices for 10 Last Minute Thanksgiving Dishes with 15 minutes or LESS of Prep time! 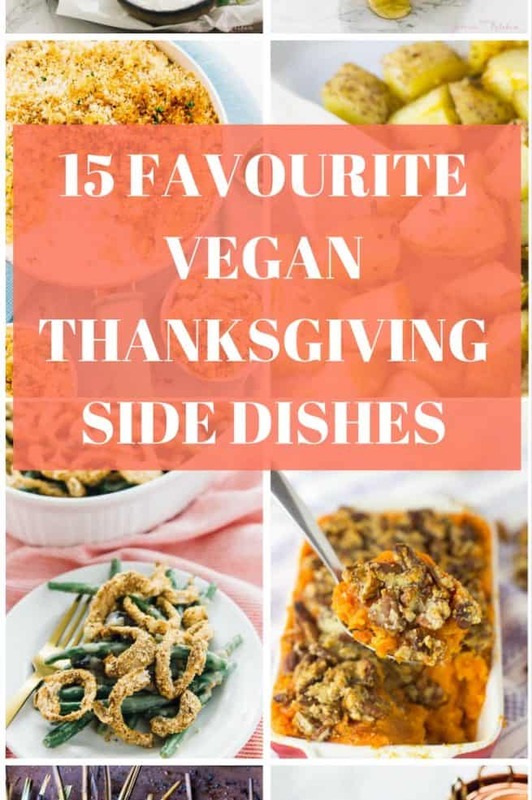 They range from appetisers to sides to mains to desserts! P.S. 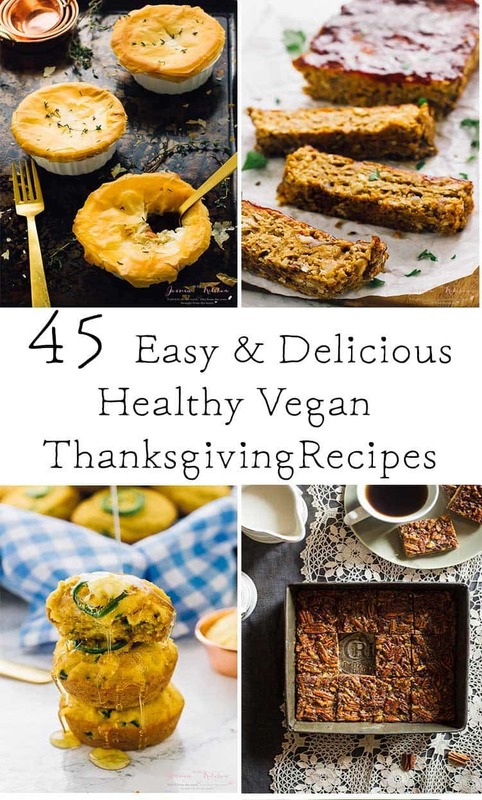 this list has been updated to be vegan, and with newer recipes! ENJOY! This might be my favourite Thanksgiving appetiser yet. 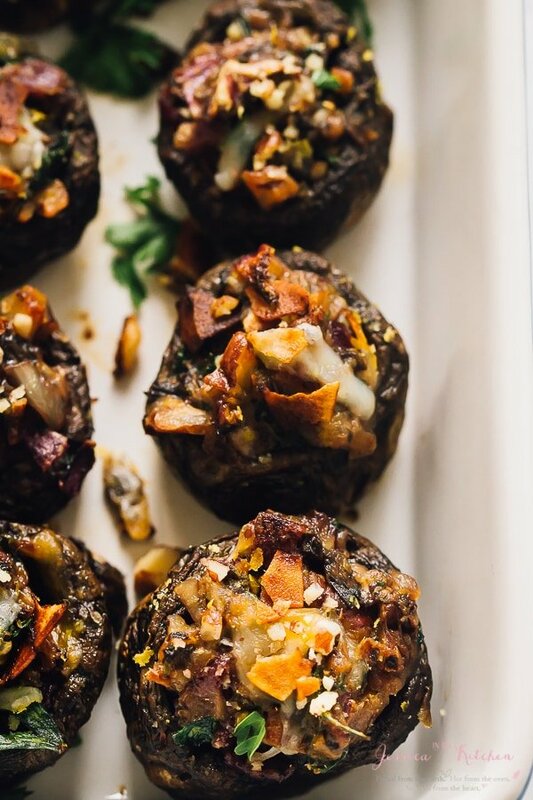 This stuffed mushrooms are a complete dream come true, and as if that wasn’t enough, topped with coconut bacon. They’re easy to hand out, and have so much delicious flavour. Definitely a crowd pleaser! 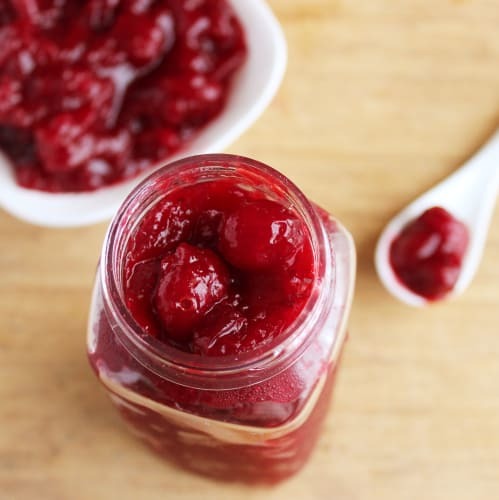 We ALL need cranberry sauce at Thanksgiving dinner! If you have to choose which to bring to your Friendsgiving or Thanksgiving dinner, choose the sauce!! It takes 5 minutes of prep, is 3 ingredients and ridiculously easy. You literally just let it all cook down together. Best part is that you can switch it up – add in some bourbon, or some cinnamon, or anything to mix it up too. This salad is definitely my favourite. YES – I have a favourite salad, so this is a huge declaration!! The video for it also has over 1 million views so know that it’ll definitely please your whole Thanksgiving/Friendsgiving crowd. 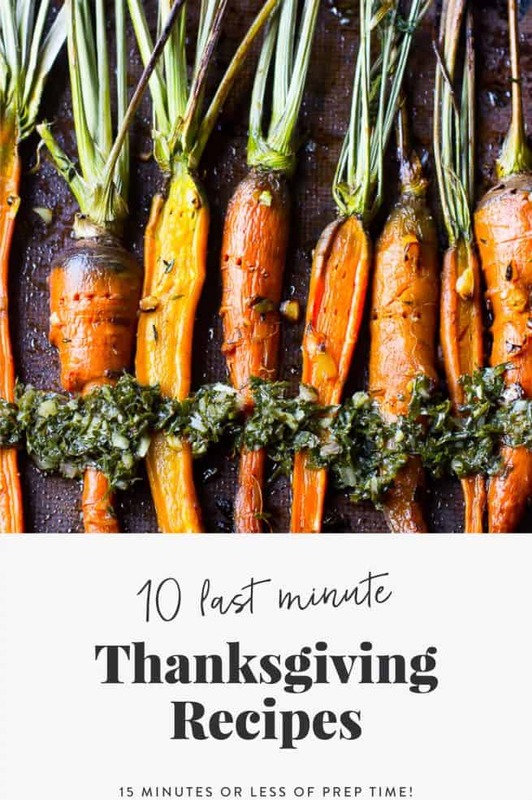 It’s 10 minutes of prep, serves so many people and that sauce is FANTASTIC on top of it. By the way, if you have allergies, you can use almond butter, or even sunflower butter or even tahini instead, depending on the allergies. 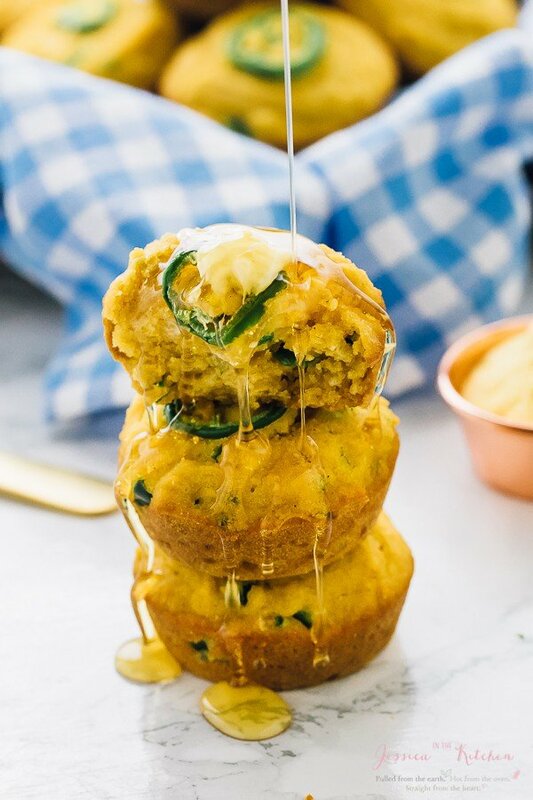 These gluten free and vegan cornbread muffins are so, so yummy and easy to make. I love that they’re 8 minutes of prep, easy to carry since they’re muffins and have that perfect cornbread flavour. I love to add jalapeños on top for an extra kick, and these are amazing with a drizzle of maple syrup! This is the prettiest side dish meal!! 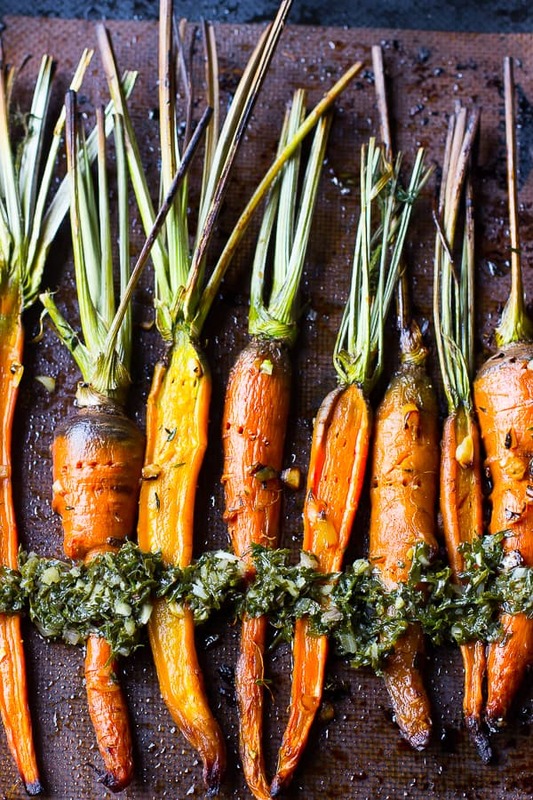 I love to make these carrots with purple carrots in the mix too to make it even prettier. They become sweet, garlicky and so fragrant. The chimichurri on top is optional, but adds another amazing layer of flavour. It’s 10 minutes of prep! This DISH! It’s an absolute stunner for a side dish, and incredibly easy. The pecans really take it over the top, and I love adding a vegan soft cheese to it too. It’s a real treat. 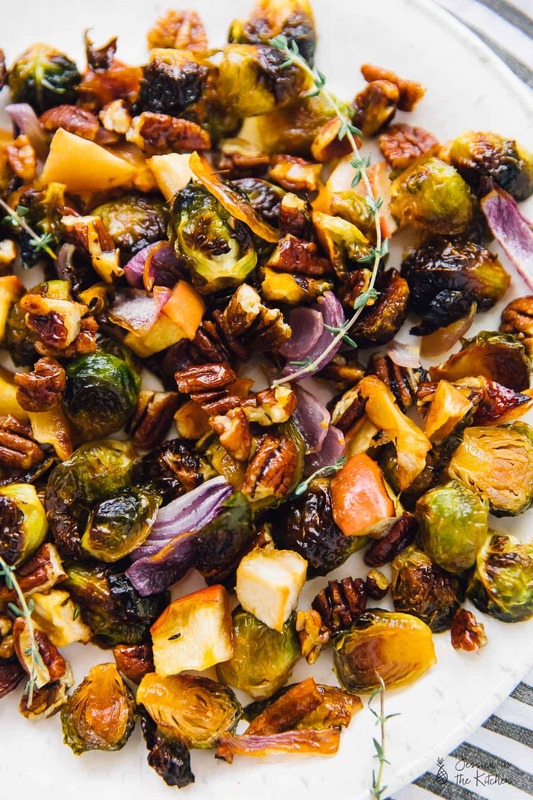 If you know any Brussels sprouts haters, this dish will definitely change them. Short prep, beautiful caramelised and basically like candy. YES, a main dish with low prep time! 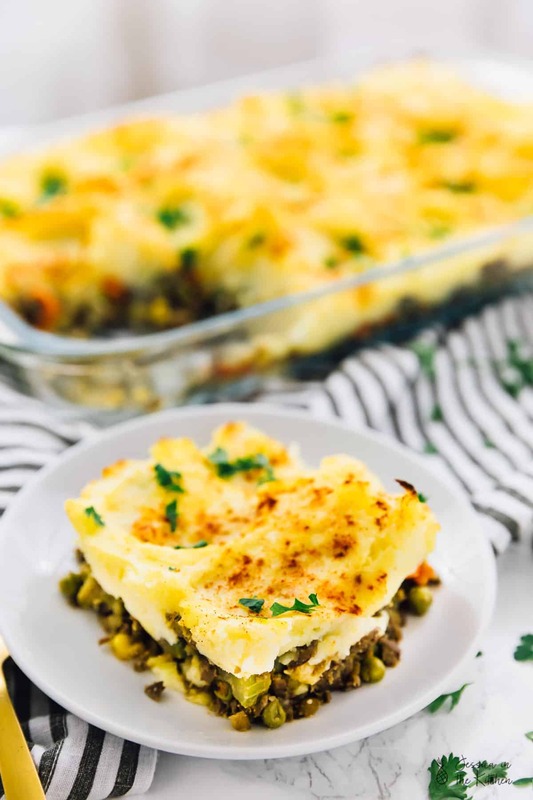 This King’s Shepherd’s Pie was devoured by my entire family, vegans and non vegans so it’s definitely approved by all. It comes together quickly on the stovetop, then is baked off. Guarantee you’ll remember this dish at your Thanksgiving. 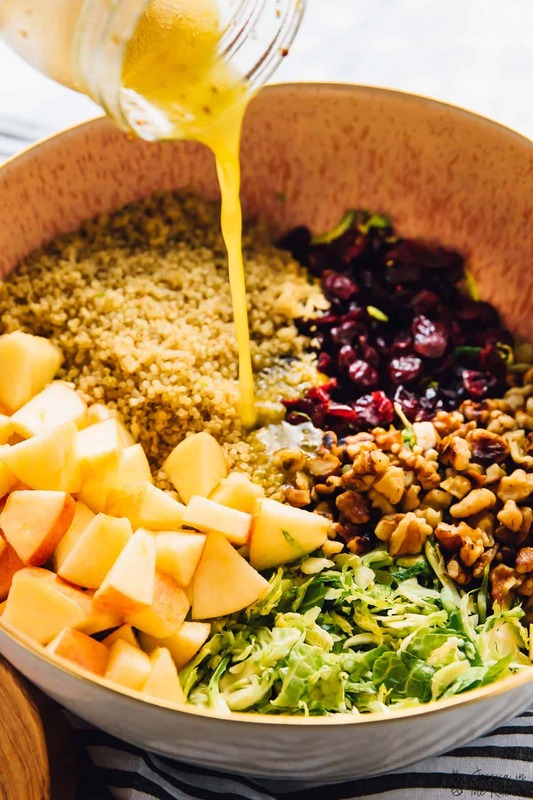 Though the prep time is noted as 30 minutes, if you buy pre-shaved Brussels sprouts for this amazing salad, you literally shave the time in half. This was my favourite salad last year, and works as a Thanksgiving and winter salad. Also that vinaigrette is AMAZING!! These apple pie bars are SO decadent and so easy!! 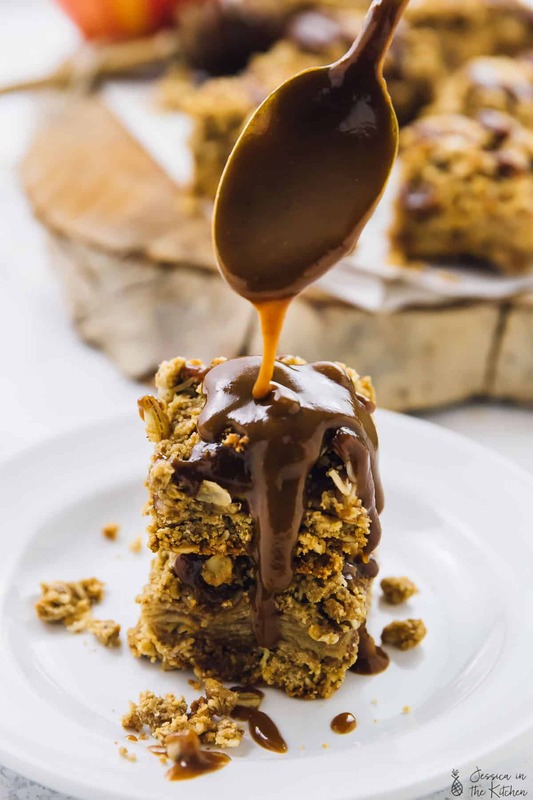 The salted caramel sauce is a MUST, and can easily be made while the bars are making. It’s 15 minutes of prep, taste just like an apple pie and will definitely make a divine dessert for your Thanksgiving/Friendsgiving!! To end it off, these baked pears are a beautiful option that looks absolutely impressive. 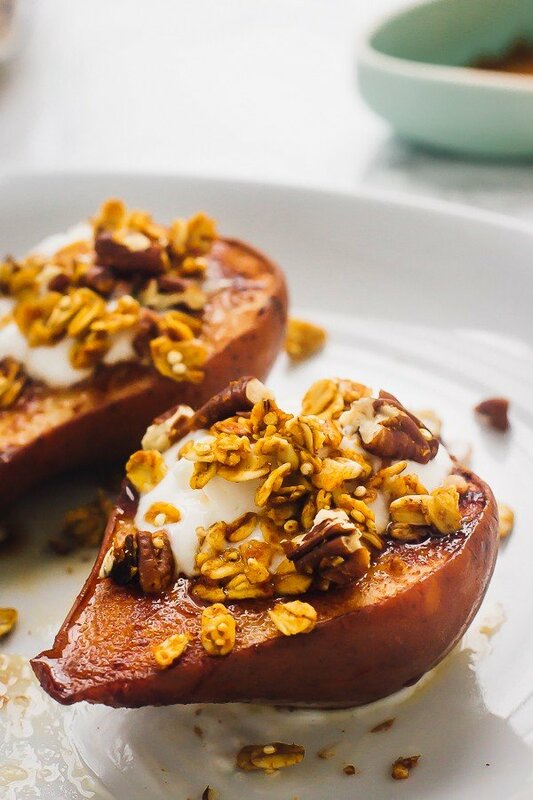 The pears become very soft and near caramelised, and then are topped with coconut cream and some homemade granola. If you want to go lighter on dessert, they are a great option for this too. I hope these choices really helped you! Which one will you be making?! Happy Thanksgiving when it comes and here’s to good, nutritious and divine food!! Those dishes are amazing, Jessica. 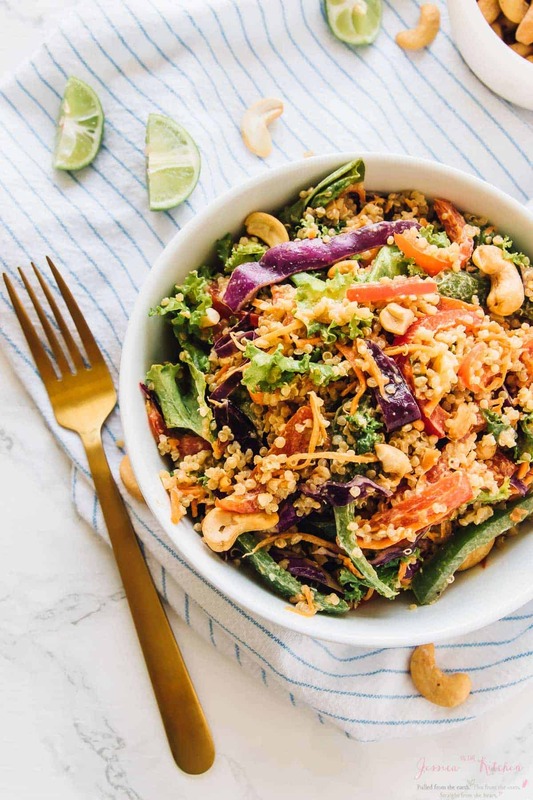 Everything you cooked looks just mouthwatering and healthy as well. 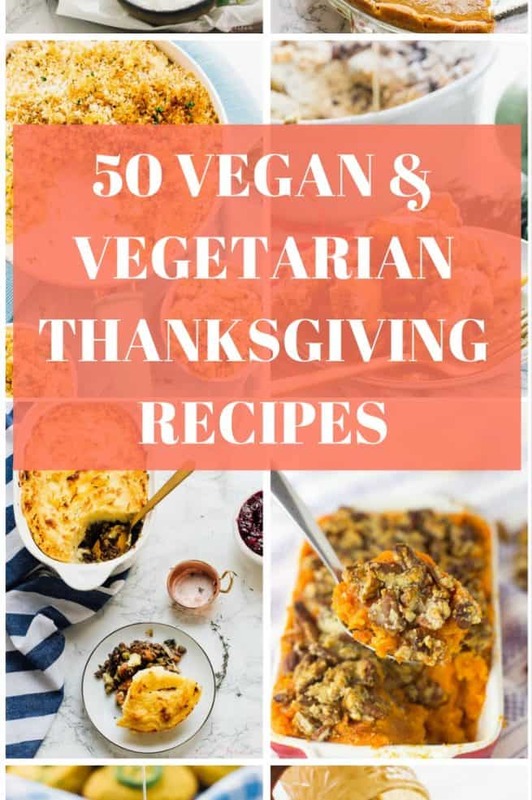 Thanks for sharing these wonderful recipes. I just need it!